[Source: Syfy] The Evil Within 2 is poised to become one of the most frightening video game offerings this Halloween season, filled with mutated monsters, crawling creatures, and decaying undead. Bethesda Softworks' scream-inducing sequel to Shinji Mikami's (Resident Evil) 2014 survival horror game, The Evil Within, is stuffed to the exploding eyeballs with logic-defying carnage and senseless slaughter of the tentacular type. 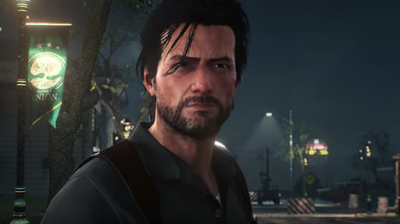 Open the door into the mouth of madness in the latest gameplay trailer below and let us know if you'll be brave when The Evil Within 2 arrives on October 13 on PlayStation 4, Xbox One, and PC.